From a puppy to a senior - as your dog grows older their dietary needs change. A puppy needs two-and-a-half times the calories of an adult dog of the same size. They also need higher amounts of muscle-building protein, bone-building calcium and phosphorus. They have an immature digestive system and a small stomach, so their food should be easy to digest and given as several small meals each day. 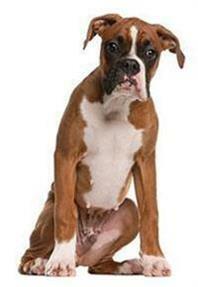 The time to change a puppy's diet or calorie intake depends on their breed. Small breeds reach adult weight in six to nine months, while very large breeds can take up to 24 months to reach adult weight. There are a variety of foods specially formulated for young dogs of various sizes. Mature dogs don’t use as much energy as growing dogs, so their food needs fewer calories. Mature dogs also need fewer mealtimes – just one or two a day is fine. Pregnant dogs need extra food during the last four weeks of pregnancy. You should increase your dog’s food by an extra 15% each week from week six of the pregnancy onwards. Newborn puppies drink enormous amounts of milk. So while Mum’s lactating and feeding the puppies herself, she will need up to four times her normal amount of food, as well as a steady supply of fresh water. She can also be given puppy food, as she can eat smaller meals because of it’s high calorie content.